Let’s face it. Life doesn’t always go the way we planned. And that is also true in our business lives – perhaps even more so. We all have the times when we feel like we’re going nowhere. Whether you own a business or are looking to advance in your career, sometimes we get frustrated because we feel like we’re hitting an invisible brick wall.The good news is that we’ve all been there. And the even better news is that there is something you can do to get unstuck. 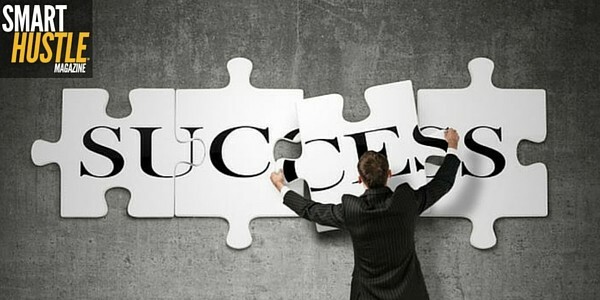 Here are some action steps to uncover and remove your hidden blocks to business success. How did you answer? Did you say “Rich people … are snobs.” Or “Money …doesn't grow on trees.” If you did, that should tell you that you have negative subconscious beliefs that could be holding you back. You might have even said, “Rich people … are lucky.” While that might sound like a positive statement, it might not be. If you don’t generally think of yourself as someone who has a lot of luck, then your subconscious mind will hold yourself back from becoming rich. Stop blocking yourself - here are 3 ways to uncover your hidden blocks to #business #success. Maybe you were an average student and you heard, “You’re never going to be successful if you keep going with these kinds of grades!” Or “You are so lazy! You’ll never amount to anything in life if you don’t get up and do something.” What your parents told you about yourself and your ability to be successful has programmed your conscious and subconscious mind. So if they believed that, chances are, you do too. Even if you don’t consciously know it. 3. Monitor Your Self-Talk, Thoughts, & Emotions. How you talk to yourself about money – and yourself – leads to thoughts and feelings that create your reality. Monitor the thoughts that go through your head and then stop yourself every time you catch yourself being negative. Don’t ever forget that despite all your efforts to reach your goals, there might be something hidden that is holding you back. So now it’s time to use this newfound awareness and take some steps forward. Putting some effort into digging deeper and overcoming your negative subconscious programming will put you on the fast track for business success!